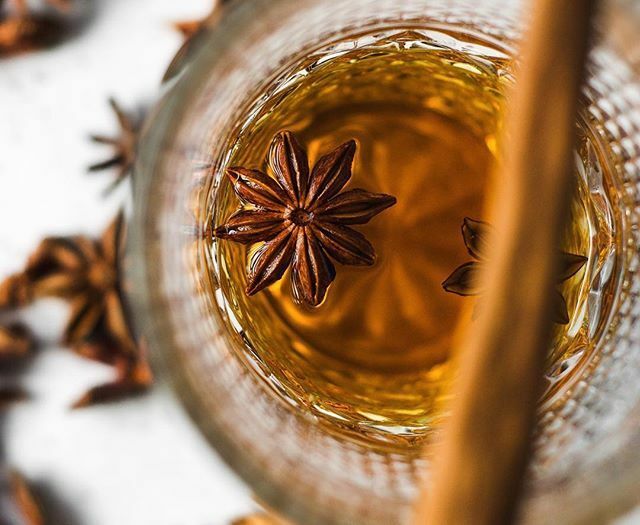 The Hot Toddy is a classic. It's an epitome of a warm comforting drink that you must enjoy during the high winter months. There are very few cocktails that can be enjoyed HOT and that's exactly what one needs when it's like the Antarctic out there. Don't go out to a bar for a fancy drink, invite some friends this weekend to watch the game and get cozy! Honestly, all one needs for this beaut is a burner, some spices, lemon and a little bit of Bourbon. Kiss Dry January goodbye with this pink-as-ever gin cocktail. 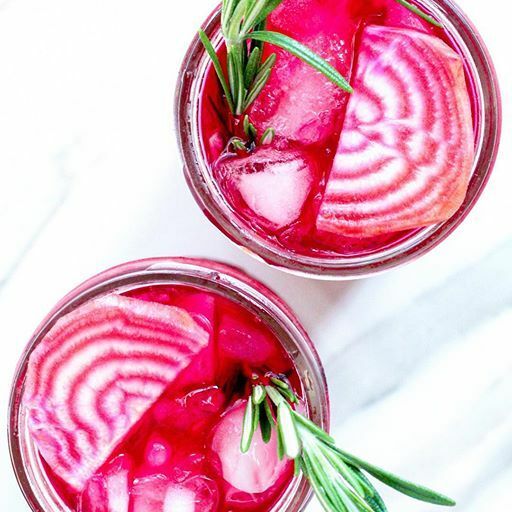 Rosemary sprigs add a subtle touch of fresh flavor, while thinly sliced candy stripe beets make for the most picture-worthy garnish. Who knew beet juice could be such a delicious mixer? Just remember to sip with slowly and with caution, because you might end up with a light pink ‘stache! This recipe is a perfect way to continue one's health kick, while re-introducing one's love of all things boozy. 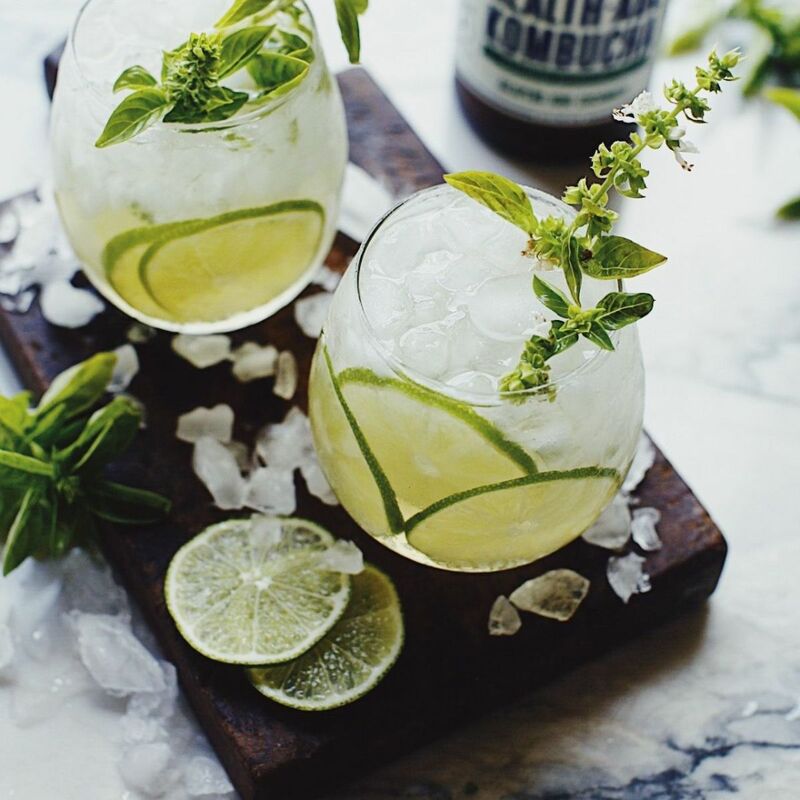 Effervescent kombucha is met with a sweet basil syrup and tequila for a refreshing and floral cocktail that’s as great for the gut as it is for turning up! 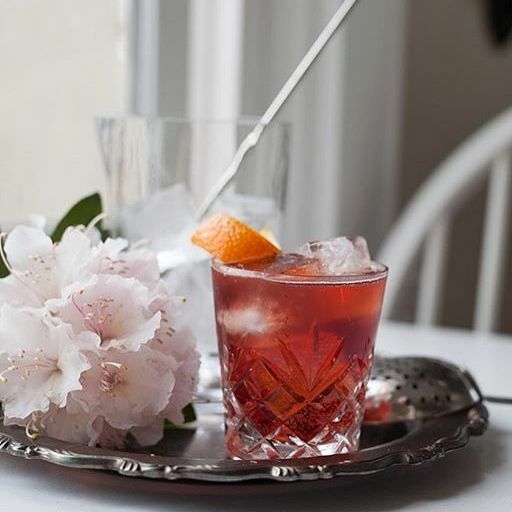 Negronis are perfect to enjoy all season long, but are best for brightening up even the darkest of Winter days. The intoxicating color (and booze) has the power to transport one to the middle of Venice in Springtime, no matter how cold it currently feels! Pick up some peach juice and pretend it’s Summer! 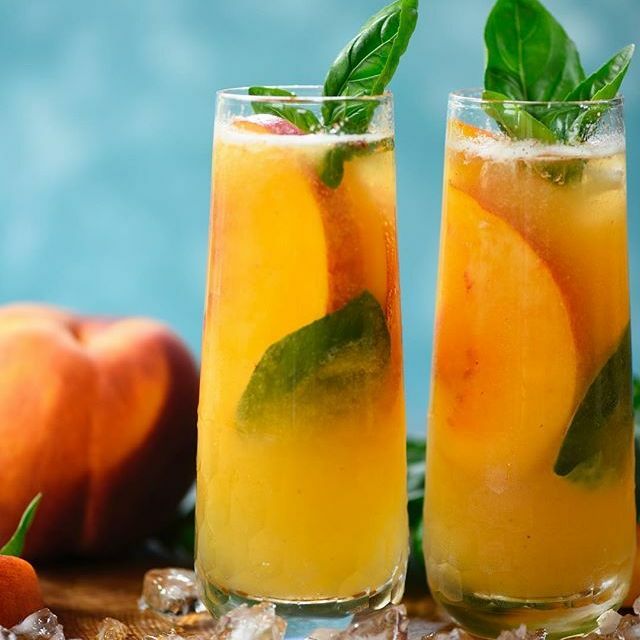 Steeping basil leaves in the simple syrup infuses fresh herbal notes, while the peach juice adds bright fruitiness. Top with one's choice of bubbly and there's a cocktail meant to be drink on repeat!